Pre-work consisting of doing a full 360 degree Innovation assessment on a test client with InnoSurvey®. 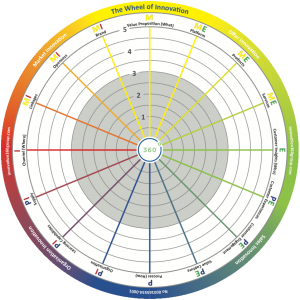 Following our IAR-method (Innovation Analysis with Recommendations) by finding a test client and make an initial Stake holder interview, collect company, financial and participant data and set up and run an assessment in InnoSurvey®. Special format in Dubai: 4 day in-house workshops including deepened training on the InnoSurvey® framework, running Innovation assessment, formulation hypotheses, evidence based recommendations and report generation/writing. The workshops also includes several case studies with training how to analyse and provide evidence-based recommendations from data-driven assessments. The final accreditation is done online after the 4 days workshops via Head office in Stockholm, Sweden.